New York, October 31, 2017--A lack of justice in the murders of journalists can perpetuate a cycle of violence and impunity lasting a decade or more, according to the Committee to Protect Journalists' 2017 Global Impunity Index released today. The 10th annual report highlights countries where journalists are murdered regularly and their killers go free. 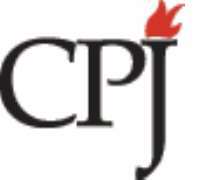 Somalia, the worst country on the index, is one of seven to appear every year in the decade CPJ has compiled the list. The others are India, Iraq, Mexico, Pakistan, Philippines, and Russia--showing that while impunity thrives in conflict environments, journalists working in some relatively stable nations that bill themselves as democracies are also murdered in high numbers. "Impunity is a chokehold on society's free flow of information. When a single journalist is killed without justice, the message to all journalists is either watch what you say or watch your back," said Elisabeth Witchel, author of the report and CPJ's consultant for the Global Campaign Against Impunity. "States on this list must not tolerate impunity year after year but actively take measures to address their failures of justice." This year, new murders occurred in half of the 12 countries on the index. Afghanistan dropped off the list for the first time because targeted killings of journalists have declined, even as conflict and large-scale violence have continued to cause journalists' deaths in the line of duty. One positive development in the last decade is growing awareness of impunity in the murders of journalists. The United Nations has adopted five resolutions encouraging states to enact justice, and this year marks the fifth anniversary of the U.N. Plan of Action for the Safety of Journalists and the Issue of Impunity. The Impunity Index is released annually to mark the International Day to End Impunity for Crimes against Journalists on November 2. The report is calculated by looking at the number of unsolved murders of journalists over a 10-year period as a percentage of each country's population. The report includes a statistical table , report cards by country , and a detailed methodology .